Hey everyone! Hope you’ve all had a nice Bank Holiday weekend! I’ve been a little curious about the makeup and beauty range at Primark so I bought a few goodies to try out, this includes these 2 highlighting products. 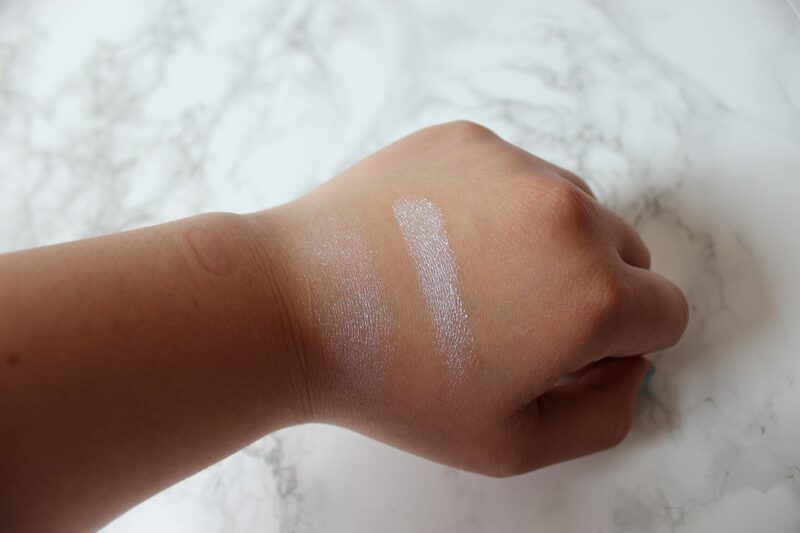 In this ever growing trend of highlighting, a lot of brands now have come out with more highlighting products, now with Summer around the corner, you can achieve that glow at a cheaper price than other brands out there. Let’s first talk about the Mermaid Glow Highlighting Powder. I heard about this through my cousin, Anna who bought this and I saw her swatches, and thought I had to get it. It looked beautiful. The packaging is simply just plastic with a click in closure and no mirror. Because it’s just plastic, I wouldn’t say it’s the most durable packaging, it can easily crack if you maybe sit on it by mistake or drop it on concrete floor when you’re on the go. But if you’re careful, you should be fine and with a £3 price tag, I can’t complain. Having the powder in this decorative design definitely adds a really nice touch to the appearance of the product. 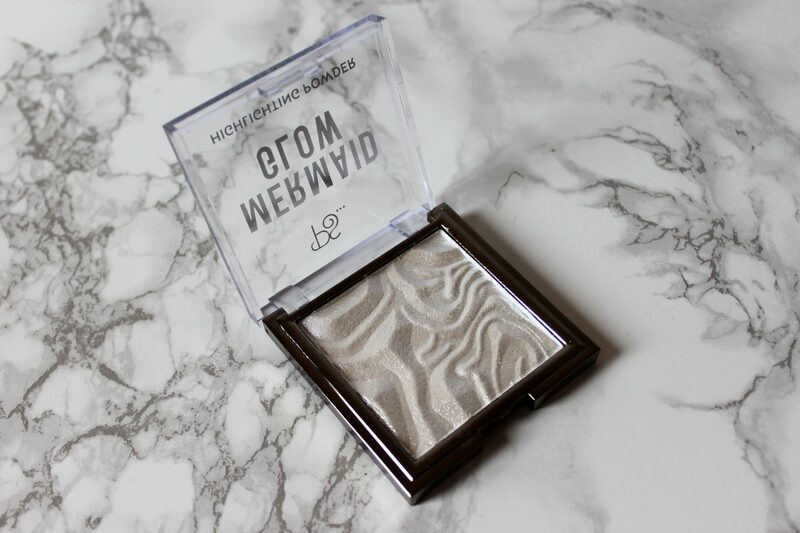 As you can tell straight away, this powder is very pigmented and very easy to blend. I would start off with a light hand when using it on your face to ensure you build it up to the intensity that you want instead of just starting with a lot of product on the brush. Start light and build it up. 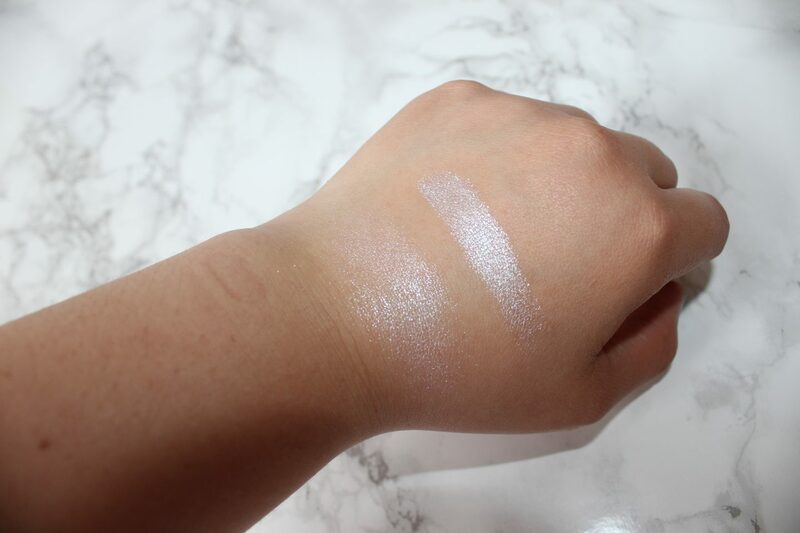 This is not a subtle highlighter so if this highlighter seems a little too intense for you, this can easily be used as an eyeshadow to place on your eyelids and would look great for an inner corner or brow bone highlight. I had no idea they had a highlighting palette, I went in expecting just to get that Mermaid Powder, but when I saw this, I was intrigued. 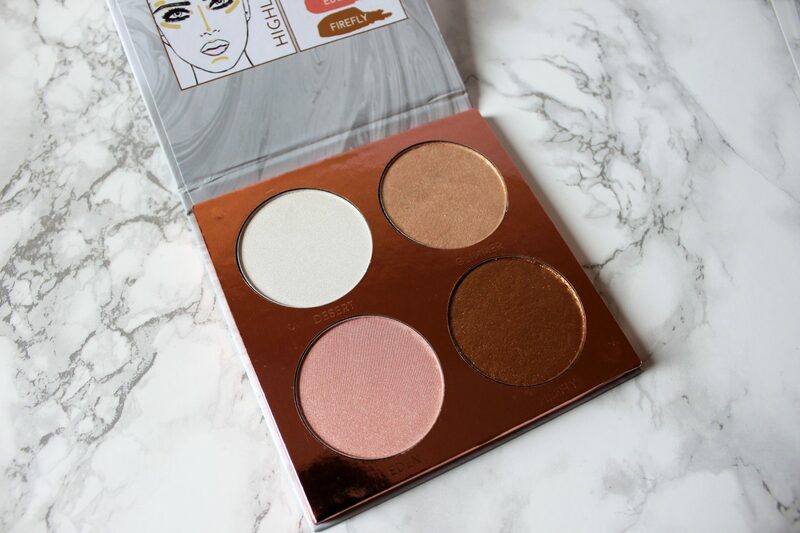 Firstly, the look of this palette immediately reminded me of Anastasia Beverly Hills Glow kits. Their glow kits also have 4 big pans of different colour highlighters. I can’t compare the quality as I have never tried ABH’s glow kits before. Instead I have settled on trying this one out, mind you, this is only £5 VS £39 for ABH’s Glow Kit in Sundipped. I’m trying to cut down on the spending, so at the moment, I would rather spend £5 on this highlighting palette which will surely last a very long time. The packaging is made up of cardboard material with a magnetic closure. There is also no mirror included in this palette. If you’re new to highlighting, there is an illustration on the inside cover of the palette, which shows you the areas on your face where you can highlight, this is very handy for people who are unsure and are beginners at makeup or applying highlight. I am so impressed with this highlighting palette! 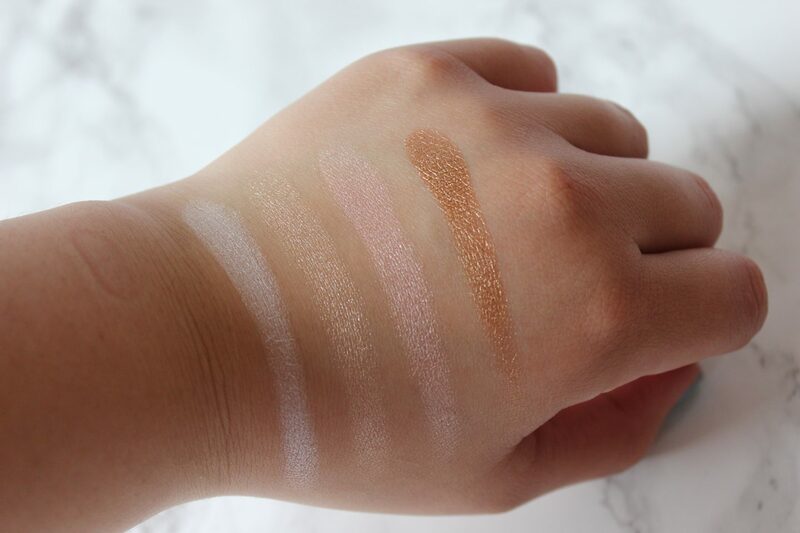 The pigmentation of these shades are so good and swatch so well, this will satisfy your highlighting cravings. I can tell that these will give you a lovely glow to your face. I would definitely recommend getting this palette, you can’t go wrong with £5. 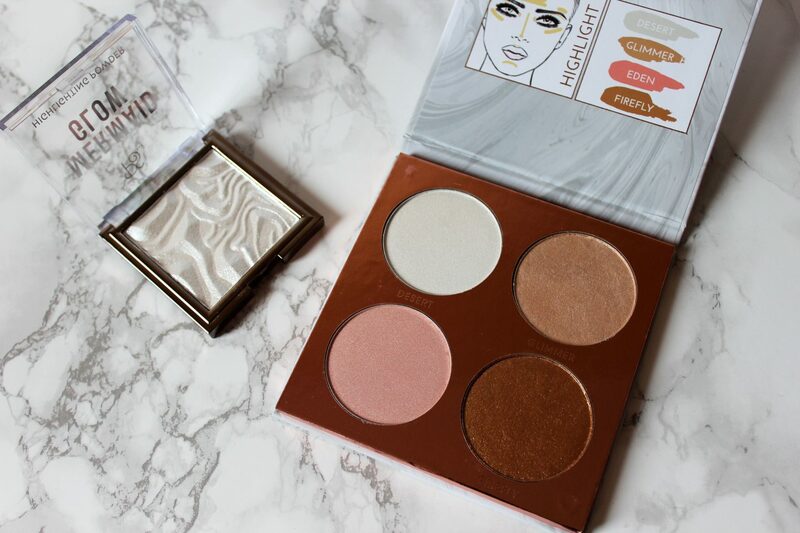 If you’re torn between these two products, I would go for this Pure Glow Highlighting palette, it’s only £2 more and you get four shades. This Pure Glow palette is also not as intense as the Mermaid Glow palette. 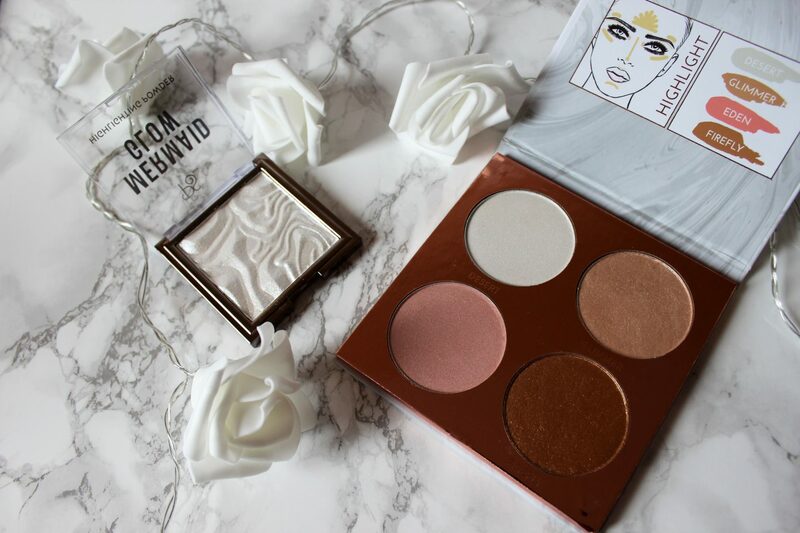 Primark are really stepping up their game in their beauty and makeup range, which is great because it’s all so affordable and judging by these two products, I would say they are pretty decent for the price tag. I have also tried one of their lip liner pencils before and that’s also good. 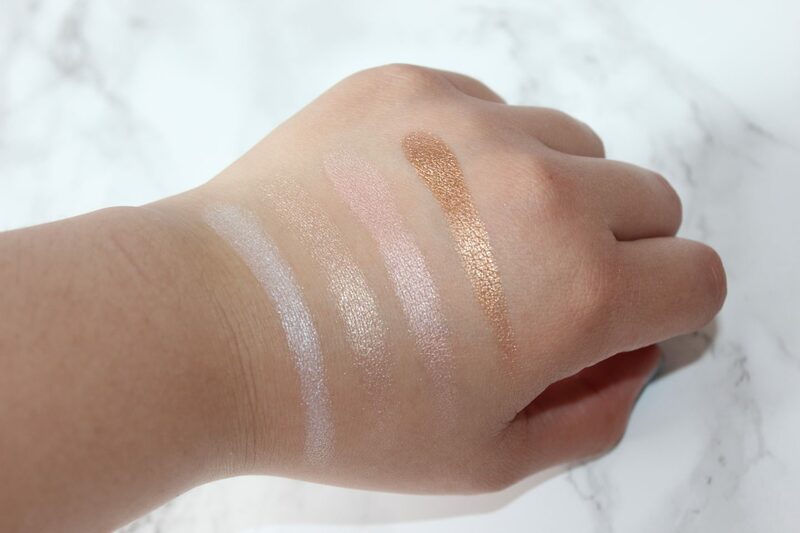 Have you tried any of Primark’s highlighting goodness yet? 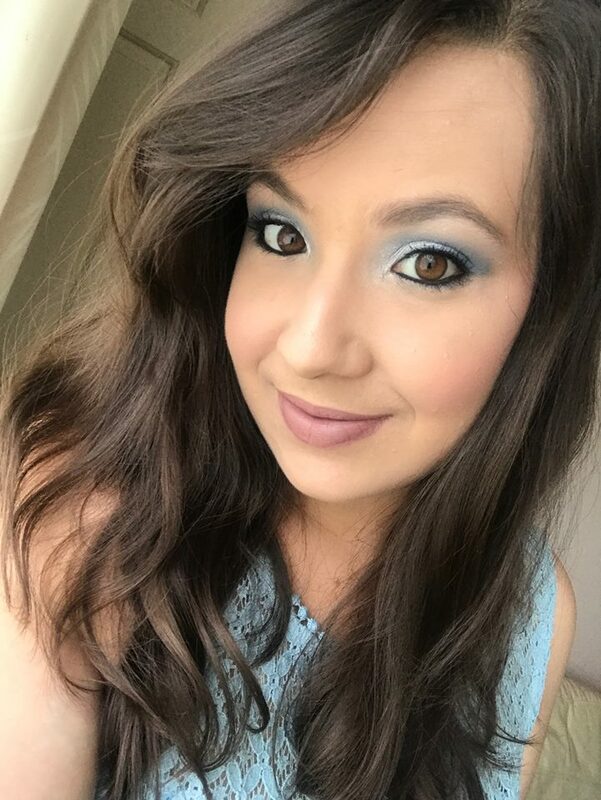 Are there any other makeup items from Primark that you recommend?